Although he died in a tragic car accident at twenty-five, Clifford Brown is widely considered one of the most important figures in the history of jazz, a trumpet player who ranks with Louis Armstrong, Dizzy Gillespie, and Miles Davis, and a leading influence on contemporary jazz musicians. 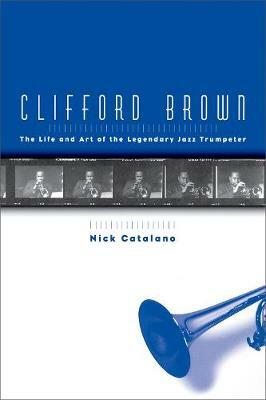 Now, in Clifford Brown: The Life and Art of the Legendary Jazz Trumpeter, Nick Catalano gives us the first major biography of this musical giant. Based on extensive interviews with Clifford Brown's family, friends, and fellow jazz musicians, here is a fascinating portrait of a remarkable musician. Catalano depicts Brown's early life, showing how he developed a facility and dazzling technique that few jazz players have ever equaled. We read of his meteoric rise in Philadelphia, where he played with many of the leading jazz players of the 1950s, including Dizzy Gillespie and Charlie Parker; his tour of Europe with Lionel Hampton, which made him famous; and his formation of the Brown-Roach Quintet with prominent drummer Max Roach-one of the most popular hard bop combos of the day. Catalano also shows that Brown was a remarkable individual-he grew up in a middle-class African-American home in Wilmington, Delaware, attended college, was a skilled mathematician, and had wide cultural interests. Moreover, in an era when most jazz players were either alcoholics or addicts, Brown was clean living and drug free. Indeed, he became a role model for musicians who were struggling with drugs and had great influence in this area with one prominent colleague, tenor sax player Sonny Rollins. Clifford Brown not only provides a colourful account of Brown's life, but also features an informed analysis of his major recorded solos, highlighting Brown's originality and revealing why he remains a great influence on trumpet players today. It is a book that anyone with a serious interest in jazz will want to own.